One of the benefits of being United Methodist is the way we work together to be in mission all around the world. The first, foundation level of mission outreach is through the “apportionment” giving that is a part of our regular church budget. Through apportionments, a portion of our offerings are used throughout the year to minister through the World Service and Conference Benevolence Funds. The World Service Fund enables our church’s world-wide mission outreach. All United Methodist churches share together in contributing to the World Service Fund. The Conference Benevolence Fund directs a portion of our offerings to mission and ministries within our Northern Illinois Conference, from the inner city neighborhoods of Chicago to the rural areas of western Illinois. All the United Methodist Churches in our Conference in our Conference share financially in our Conference Benevolences. The second, “extra” level of mission giving is through the “Rainbow Covenant.” The Rainbow Covenant allows us as a congregation to select specific ministries and mission projects for our congregation’s support. There are nine color “bands” of the Rainbow Covenant. To be a Rainbow Covenant church, a congregation first needs to pay its apportionments in full, and then give at least $25 to a mission in each of the color “bands” of the Rainbow. 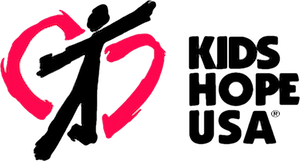 Almost Home Kids (AHK) provides short-term transitional and respite care in a home-like setting to medically fragile children with complicated health needs, as well as training for their families. Many client families rely on financial donations and state aide in order to receive services. The children are often depending on a ventilator for breathing support, a feeding tube for nutrition and the use of other hi-tech devices. Family members are taught how to operate the equipment before the child goes home. The facility in Naperville is the only model of its kind in Illinois. Volunteers spend time with the children and represent the organization at special events. 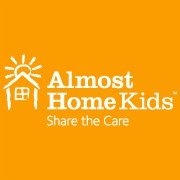 Almost Home Kids welcomes those that are at least 16 years of age to join their volunteer team to help enrich the lives of the children at AHK. You will need to attend one of the monthly Volunteer Orientations, have a current TB test and seasonal Flu shot. Please visit the AHK website and click on the tab How to Help to see a page dedicated to the Volunteer Program. You can also support AHK by donating items on the Wish List which is also located on the website. Community Adult Day Center (CADC) is a not-for-profit organization serving DG and surrounding communities. The center provides a dignified and pleasant environment for any adult needing daytime care and is an alternative to full-time in-home care. Clients enjoy a warm, supportive atmosphere, creative program, nutritionally-balanced meal, and an opportunity to share with others of the same age group, as well as social activities, including physical exercise, field trips and current events programs. For more information, contact the center by phone 630.968.1060 or email info@communityadultdaycenter.org. Inspire and effect change by advocating for homeless families. Provide services and opportunities that connect families to a better future. Collaborate with faith-based partners, community groups and businesses to leverage resources and create long-term solutions. Lead by example through our innovative programs and grassroots involvement. Bridge Communities was founded in 1988 by two community volunteers, Mark Milligan and Bob Wahlgren, and has grown to become the largest transitional housing program in DuPage County. The majority of families served are single parents with children, many who are survivors of domestic violence. Through the mentoring program, Bridge provides families with the necessary life skills to function successfully in their community. The two-year program often provides additional training or academic opportunities to increase income and reduce debt. Bridge Communities depends on partnering with local faith and community groups who sponsor families in housing and provide volunteer mentors to work directly with each family to foster positive change. Additional resources, including employment counseling, case management, and tutoring for children and adults in the program, are provided by the Glen Ellyn Bridge staff. The 12th Annual Downers Grove Garden Walk gives you an opportunity to view some of the most beautiful gardens in the area. All proceeds benefit the DGFUMC Bridge Board in providing transitional housing and mentoring for homeless families. Tickets are available on Saturday, July 14 at each of the gardens, and at Downers Grove First United Methodist Church from 9:30 to noon in our parking lot. DuPage United, founded in 2003, is an inclusive, non-profit, non-partisan organization whose members are civil society institutions: churches, mosques, synagogues, non-profit agencies, and associations. They have come together to form public relationships and to act together to improve the quality of life for individuals, families and communities. DuPage United engages in democratic action in the public arena. A group of clergy and lay leaders founded the organization in order to build the capacity to sit at the table with decision-makers to change systems and structures that were unjust. DGFUMC is a member of DuPage United. For more information, please contact Rachel Brooks (703-955-6401). 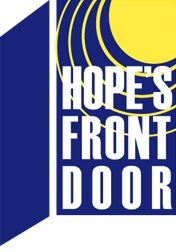 Formerly known as the Walk-In Ministry of Hope, Hope's Front Door provides emergency assistance to those in desperate need who include the unemployed, underemployed, homeless, seniors and disabled…nearly 15,000 individuals and their families in Downers Grove and five neighboring villages. After determining their immediate needs through compassionate conversation, clients are helped with either food, medical, dental and/or transportation vouchers, plus a clear pathway into the network of social agencies that can assist them with the long-term restructuring of their lives. For more information, contact Janell Robinson, Executive Director, or Diane Ray, Program Director, or phone 630-241-0187. In 2008, the Missions Work Area received one percent of the congregation’s Growing Together contributions. Those funds, $20,000, along with $5,000 of the 2008 Easter Offering, were sent to the United Methodist Committee on Relief (UMCOR) to build a school in Jombu, Yei County South Sudan. The Jombu community provided bricks and labor needed to help build the school. The United Methodist Committee on Relief (UMCOR) conveyed the following to us from the ground in Sudan: "The Jombu people can not thank you enough for this gesture. This world is full of happy people - and you have contributed to their joy at Jombu. The building and community training you are providing through your gift will reach many generations." 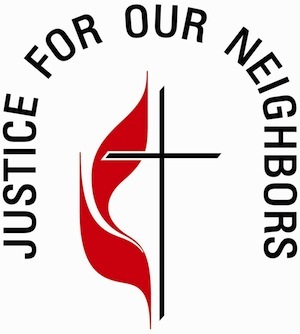 Justice for Our Neighbors, a United Methodist immigration ministry, provides free, high quality legal services for immigrants, refugees and asylum seekers. Volunteers help complete forms, do child care and provide welcoming hospitality on the first Saturday of the month at Fourth Street United Methodist Church - 552 South Fourth Street, Aurora, IL. For more information contact Roger L. Curless, Aurora Clinic Coordinator, (630-892-9373). Kids Hope USA develops one-on-one relationships through the creation of church-school partnerships that pair church members with at-risk kids in supportive, mentoring relationships. Mentors spend just one hour per week, reading, talking, playing and listening to a child at school. By helping the child feel loved and valued, they help that child to learn, grow and succeed. Literacy DuPage serves over 30 communities in DuPage County by providing accessible and customized tutoring in reading, writing, speaking, and understanding English to help adults achieve independence. Trained volunteer tutors provide customized, learner-centered English language instruction in one-on-one or small group settings at a mutually convenient time and location for both tutors and students. For further information, call 630-416-6699, send an e-mail to info@literacydupage.org or visit the website at www.literacydupage.org. 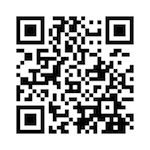 You can complete the 'Contact Us' form on the website. 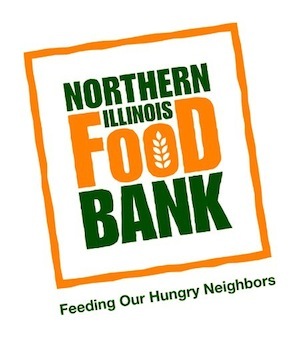 The vision of the Northern Illinois Food Bank is for no one to be hungry in northern Illinois and to lead the community in solving hunger by providing nutritious meals to those in need. Across 13 northern Illinois counties, food manufacturers, local groceries, corporations, foundations, and individuals come together to donate food and funds, and evaluate and repack food for distribution to more than 600 network partners – the food pantries, soup kitchens, shelters and youth and senior feeding programs that serve more than 60,000 different people each week. For more information, contact Jenny Orlando (630-443-6910 x 129). The mission of DuPage P.A.D.S. 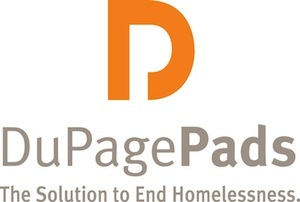 (Public Action to Deliver Shelter) is to end homelessness in DuPage County. Building on years of experience, DuPage Pads believes the solution is housing, coupled with support services and employment. Over the years, the agency has grown to be the largest provider of services to those who are homeless in the county, last year serving 1,451 individuals including 245 children in 140 families. Our church hosts individuals and families every Tuesday night from October to May. DGFUMC volunteers coordinate the program and work on the first Tuesday of each month, while other churches work on the remaining weeks. For more information about DuPage Pads, contact Will Salmon (630-682-3846). For information about the DGFUMC PADS program, contact Sheila Ochoa (630-968-7120 x 205). 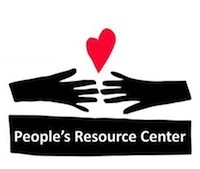 People's Resource Center (PRC) meets basic needs, including food, clothing, and rent assistance, and offers skill-building resources, such as literacy classes, job assistance, computer training and art. More than 32,000 DuPage residents rely on PRC for help each year. Over 1,500 volunteers work with the small PRC staff offering time, skills and resources to help their neighbors. Donors contribute food, clothing, books, computers, and money to support the PRC’s work. DGFUMC volunteers staff the Westmont Food Pantry to assist clients in their grocery selection on Thursdays. 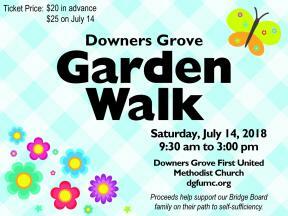 Contact the DGFUMC PRC coordinator, Julie Stone (630-985-9217), or PRC Volunteer Coordinator Lisa Doyle (630-682-5402). Sharing Connections Furniture Bank provides donated furniture and household items to low-income families, most of whom are coping with crisis like domestic violence, job loss, or financial hardship and include the previously homeless, unemployed and working poor, veterans, victims of domestic violence, immigrants, individuals with mental or physical disabilities, victims of fire, flood and natural disasters, etc. Clients have housing, but are faced with the harsh reality that their “home” is empty or severely under-furnished. The goal of the organization is “tonight, everyone eats at a table and sleeps in a bed.” The average salary of a client family of four is approximately $12,400 a year. After basic expenses are paid, there’s little if anything left for the common household furnishings most take for granted. For more information, call 630-971-0565 or visit the Sharing Connections website. More than 800 million people in the world go hungry every day. More than 1 billion people lack access to safe drinking water and more than 2 billion lack sanitation. In the last 50 years, almost 400 million people worldwide have died from hunger and poor sanitation – that’s three times the number of people killed in all wars fought in the 20th century. The South DuPage CROP Hunger Walk is a 5 km (3.1 mile) walk held annually in October, with participants asking friends and family to sponsor them. The South DuPage community have raised nearly $600,000 over the past 25 years through holding this annual CROP Hunger Walk, which helps to support the grassroots, hunger-fighting development efforts of Church World Service (CWS) partner agencies in more than 80 countries. CROP Hunger Walks help to provide tools of hope that empower people to meet their own needs. From seeds and tools, to wells and water systems, to nutrition-enhancing Moringa trees, to technical training and micro-enterprise loans, the key is people working together to identify their own development priorities--something CWS has learned through 58 years of working in partnership around the world. 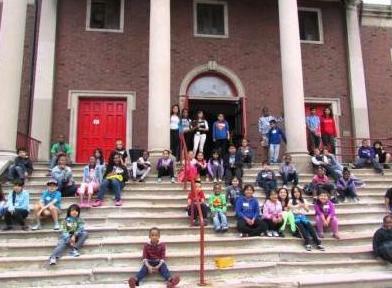 The United Church of Rogers Park (UCRP) has been our Sister Church for several years. Helping with the Summer Camp for neighborhood children has been a week-long mission of the DGFUMC junior high youth for more than 10 years. The Missions, Justice and Community work area has provided financial support to UCRP through the Rainbow Covenant and other financial donations. One of the benefits of being United Methodist is the way we work together to be in mission all around the world. The first, foundation level of mission outreach is through the “apportionment” giving that is a part of our regular church budget. The second, “extra” level of mission giving is through the “Rainbow Covenant” which allows us as a congregation to select specific ministries and mission projects for our congregation’s support. The Rainbow white band is for a Sister Church of our choosing, which is UCRP. The mission of the United Methodist Women is to know God and experience freedom as whole persons through Jesus Christ; to develop a creative, supportive fellowship; and to expand concepts of mission through participation in the global ministries of the church.